Hello all, tomorrow I will be at Dragoncon. As always, I will be attending with my lovely and talented wife in the art show. Since she is also my cover artist, I will have some copies of my books for sale at her table. As followers of my blog, you may be aware of Lollipop Jones & Pecan Sandie. For those of you who prefer to have a book rather than read a webpage or for those of you who just like rare things; from now on I will be carrying The Case Files of Lollipop Jones & Pecan Sandie Volume 1 in print. This volume will only be available from me at shows and is not available on Amazon, Barnes & Noble, or any other book retailer. So, if you swing by the table, you can get what is sure to be a priceless collector’s item for only $5. My novels will be available at the Dragoncon rate of $10. 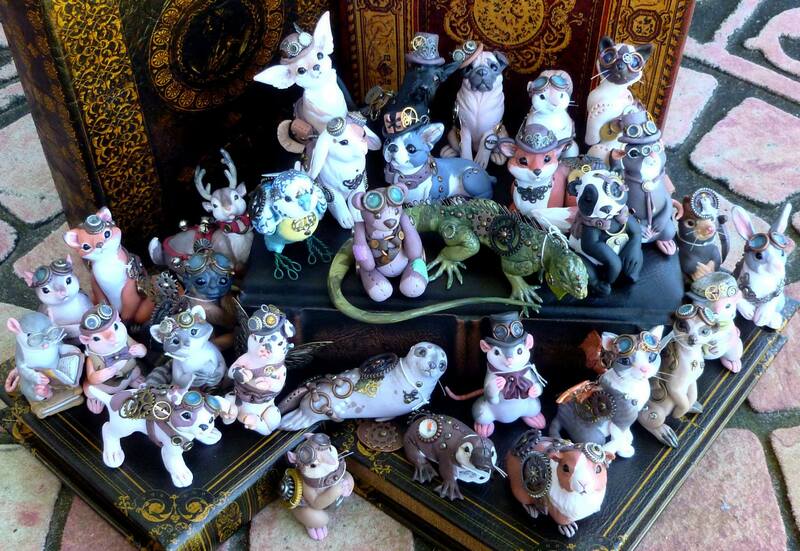 Come by and pick up some awesome art (like these little steampunk guys), grab a book, or just stop by and say hello. If you aren’t attending Dragoncon but will be attending the Decatur Book Festival this Labor Day weekend, please stop by and see Jay & Katie Barber and pick up their fun books. Thanks all, I’m sure I’ll have a wrap-up post after Dragoncon. * Please note: The Case Files of Lollipop Jones & Pecan Sandie Volume 1 may not become a priceless collector’s item.